Hermansberg School Museum, near Bremen, on 3rd Road north of Eagle Road. History of German immigrant farming community in this area. Located in former Hermansberg Lutheran school building. By appointment, 785-744-3529 or 767-3895. Historic Marshall County Courthouse Museum & Genealogical Library, 1207 Broadway, Marysville, 785-562-5012. Open year round, 1-4 p.m., daily in summer, M-F in winter. Koester House Museum & Gardens, 919 Broadway, Marysville, 785-562-2417. Open April-October. Pony Express Home Station No. 1 Barn & Museum, 106 S. 8th Street, Marysville, 785-562-3825. Open April-October. Oketo Museum, by appointment, 785-744-3497. 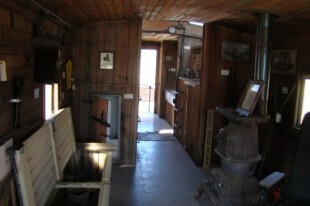 Transue Brothers Museum, Original Blacksmith & Wagon Shop, 309 Main Street, Summerfield, KS 66541. Open by appointment 402-520-0644. Vermillion Historical Museum, 120 Main Street, Vermillion. Mon and Tues 1:30-5:30, Wed and Sat 9-11:30, and by appointment 785-382-6294. Anntie M’s Attic, Waterville. Collection of women’s vintage clothing and hats; program on women’s history and fashions. Refreshments on request, from Victorian tea to 1950s malt shop specials. By reservation only. 101 East Commercial, Waterville, 785-363-2343. Caboose Museum, Waterville, by appointment, 785-363-2515. Depot Museum, Waterville, by appointment, 785-363-2515.